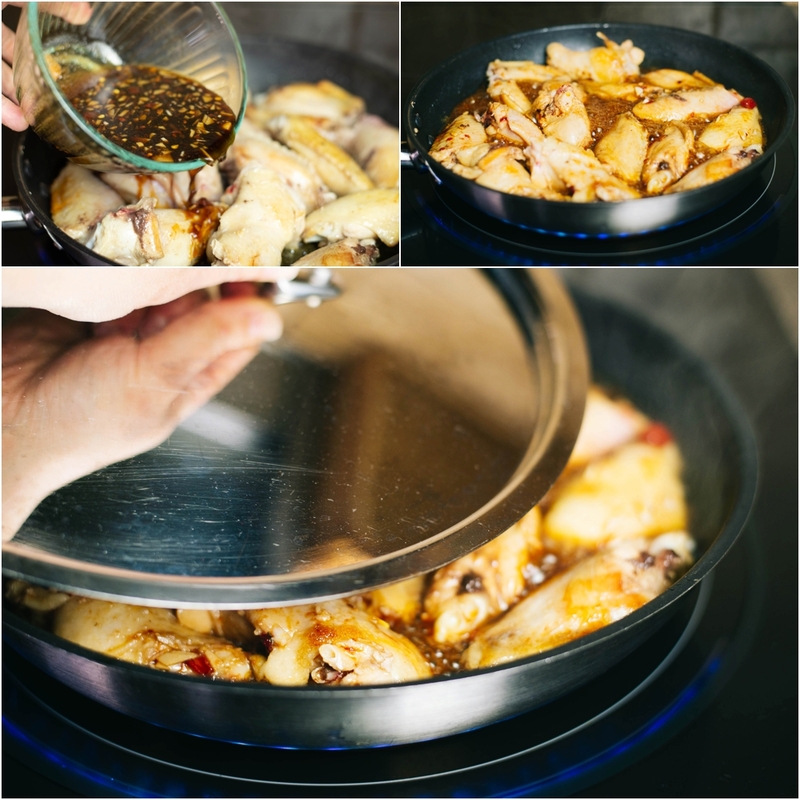 I probably have made this recipe for teriyaki chicken wings for over a hundred times. Every time it makes my children very happy. I know this because I recently asked my children to make a list of 20 foods that they prefer I cook. All three of my kiddos stated teriyaki chicken wings and teriyaki chicken in general as one of their favorite foods! You guys know that I like to give some feedback to the foods you are about to make. 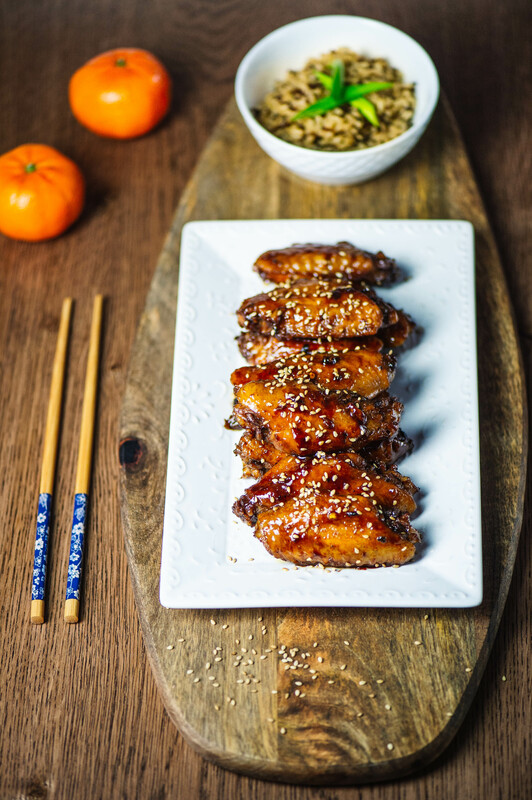 Let’s not make this teriyaki chicken wings an exception, shall we? The word teriyaki in Japanese is referred to a technique of either grilling or broiling some sort of a protein with a sauce (tare) that gives it a shin. The shin or the shine comes from that beautiful glaze obtained from the sugar that is used in the sauce. Traditionally the base ingredients for the ‘tare’ were soy sauce, sake (or mirin), and sugar (or honey). The sauce would be cooked down to a certain consistency in order to be used either for marination or for basting of a chosen seafood or protein. These days you can find many variables of teriyaki sauce. Not to mention the ways you can incorporate it into your food. 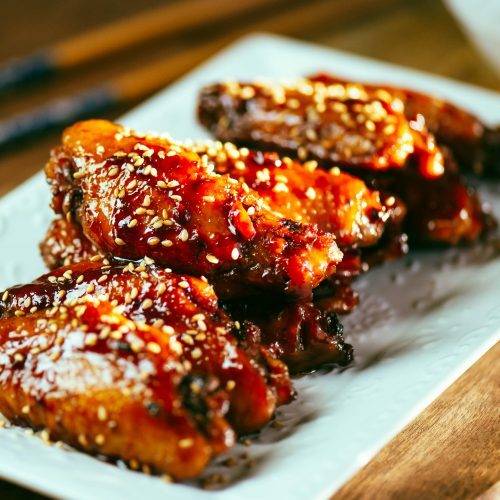 If you are fond of sweet and slightly salty sauces, teriyaki is your guy. You can pretty much pair it with anything. Save this sauce recipe and try it with different things. Let’s play with it for wings, alight? 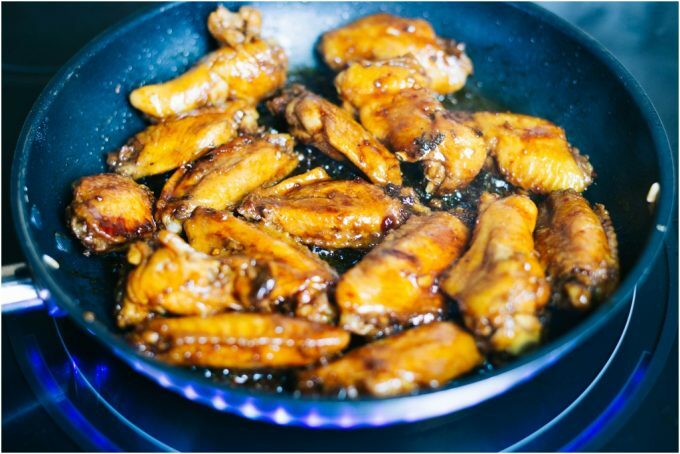 Place a medium skillet (which can easily fit all your wings in one place) on the stove, add the olive oil and heat it on medium heat. Place all the wings in the skillet and start cooking them. Pre-cooking the wings will ensure that the wings cook through by the end of cooking time. We will pre-cook the wings for about 6 minutes. While the wings are slowly cooking you are to prep the teriyaki sauce for the wings. In between mixing the sauce, flip the wings to the other side to cook them evenly. 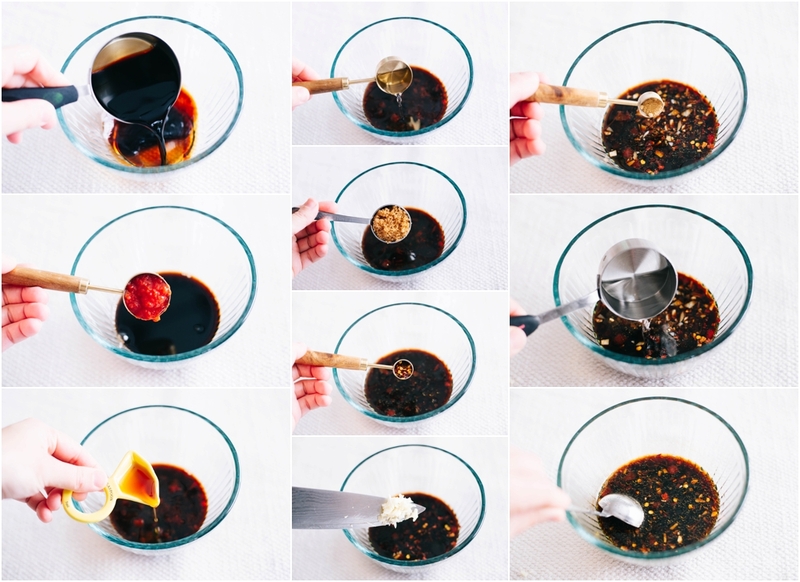 In a small bowl add all of the teriyaki sauce ingredients: soy sauce, crushed tomato, sesame oil, rice vinegar, chopped garlic, chopped ginger (or powder), water and red chili peppers. Mix the sauce really well as you want the sugar to dissolve or honey to mix well. Pour the sauce over the wings. It will start bubbling and boiling almost immediately. Turn the heat down to low, close the lid fo the skillet and simmer the wings in the teriyaki sauce. In about 10 minutes open the lid and flip the wings. Close the lid and keep on cooking. Flip the chicken wings one more time in about 10 more minutes. The liquid from the sauce will be used to cook the chicken and will eventually evaporate. Once that happens you will see the sugars slowly separating from the oil. This is the time for you to gently flip, move, maneuver chicken wings to get coated in the sauce/tomato/sugar. The extra oil will remain in the skillet. Turn off the heat, garnish with sesame seeds and scallions. 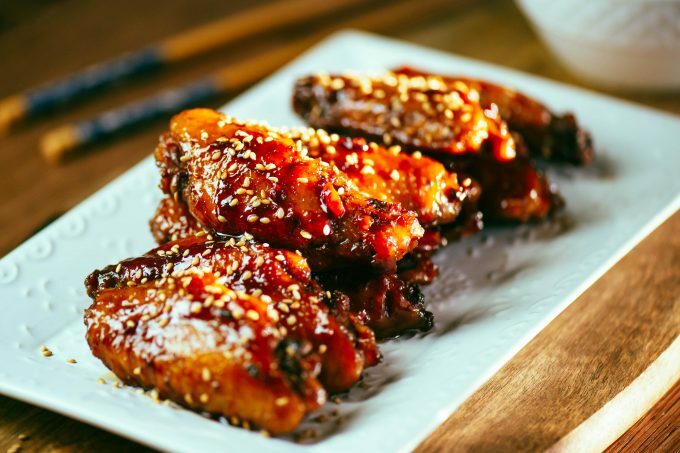 You can serve these wings as party food or serve them over rice to enjoy its deliciousness. Place a medium skillet (which can easily fit all your wings in one place) on the stove, add the olive oil and heat it on medium heat. Place all the wings in the skillet and start cooking them. Pre-cooking the wings will ensure that the wings cook through by the end of cooking time. We will pre-cook the wings for about 6 minutes.